Murray Craighead established Nutrient Solutions Ltd in 2001. Murray is a leading New Zealand expert on soil and plant nutrition with 40 years experience in his field. 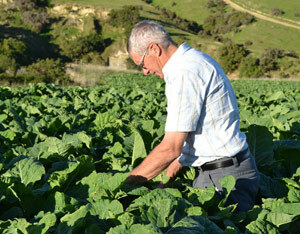 Murray offers sound, independent advice and research to New Zealand farmers and companies. Many of his ideas and research findings are now established grower practices. One of New Zealand’s leading advisers on arable plant nutrition, Murray has promoted the responsible use of nitrogen and established the yield and quality nutrition of many crops such as cereals and potatoes. This includes developing crop nutrition models and fertilizer codes of practice. Murray, in collaboration with Massey University staff was one of the pioneers of the agronomic benefits of precision farming in the arable sector. More recently he has been actively involved in the upgrading of berryfruit recommendations and nutrient budgets, particularly those for blackcurrants. He is currently involved in work on the effective use of wastewater and byproducts. 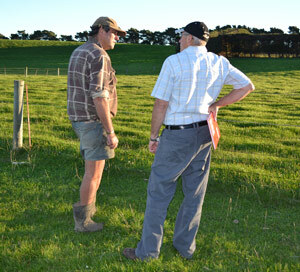 Murray has a vast knowledge of the nutrition of pasture, its development and maintenance. In particular, he has helped develop sound fertilizer guidelines for dryland New Zealand and the use of sulphur in high country. He is very experienced in the use of nitrogen and its various forms, the use of lime as well as developing the protocols for the use of cement kiln dust (NSD). Training fertiliser field staff, teaching famers and writing pasture production and hydroponic student notes have helped give Murray a wider perspective in making fertiliser management decisions.